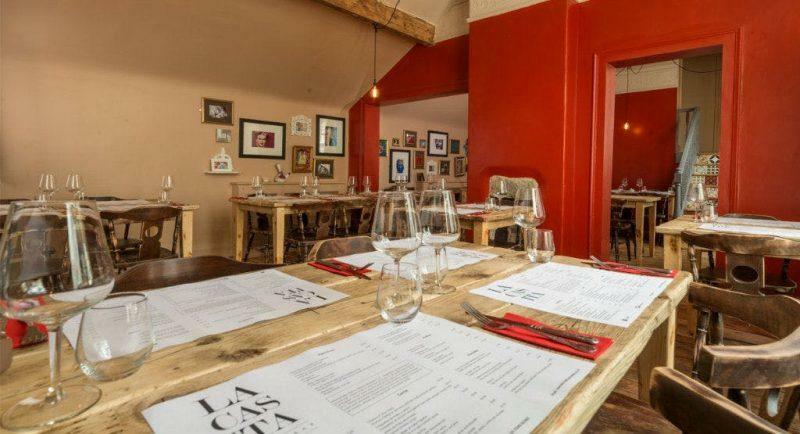 La Casita is a fantastic Tapas restaurant in Ilkley which has developed a great reputation for its vibrant atmosphere, great food and attentive service. It’s found within the stunning Victorian Arcade in the heart of Ilkley. The menu is extensive and includes many kinds of cuisines with Spanish cuisine the main event here. Their success has lead to them having several locations across Yorkshire, they’ve recently opened up in the neighbouring town of Skipton. extremadura, situated south west of Spain. dry pasture and toasted pistachios with lots of creaminess. flavour, slightly lactic, salty, piquant and a little spicy-hot. It has a caramelised aroma and butter texture. flavour and a buttery texture with an intense aroma. Catalunya. Made from pasteurised cow’s milk. quince jelly, mixed crackers and figs.